Our visit to the Central American country of Belize was filled with amazing adventures. We participated in so many must-do activities in Belize during our stay. The country is not that large so it is easy to fit in a lot of activities even during a short visit. 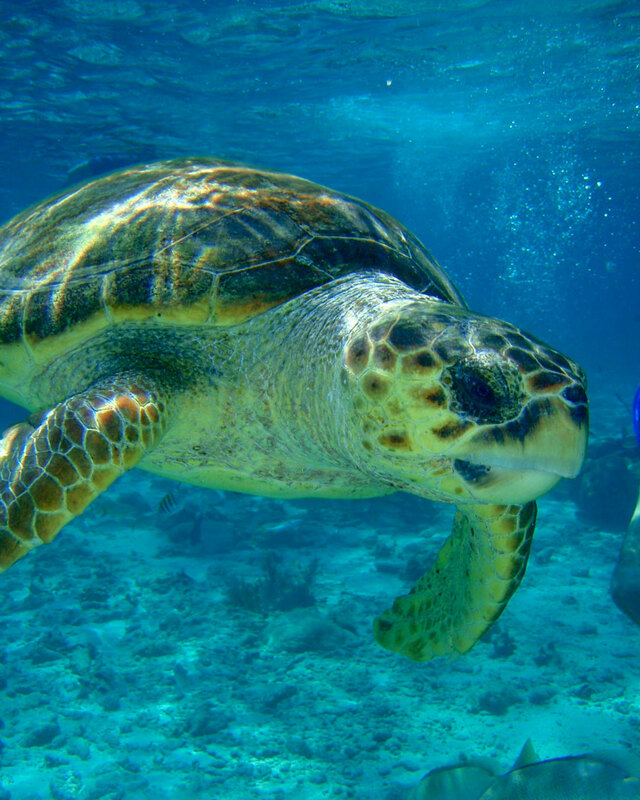 We list our top 5 must-do activities in Belize below. 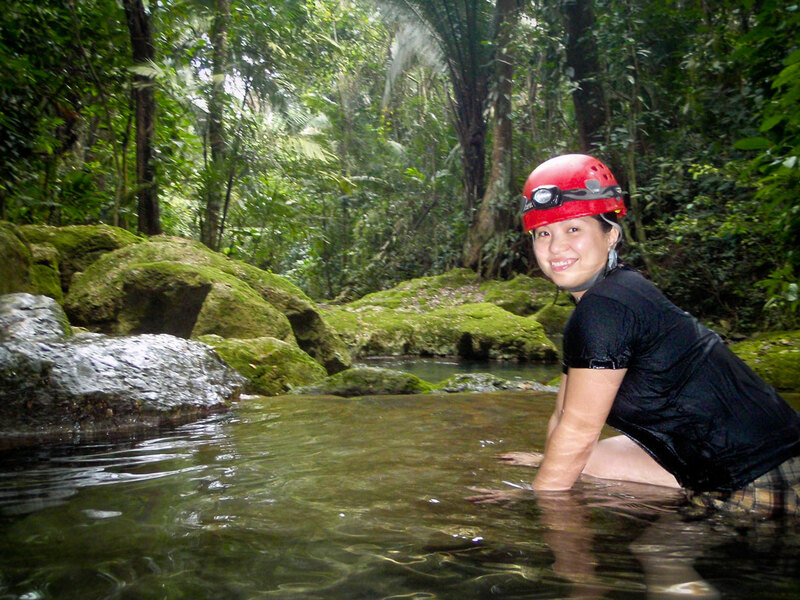 Caving is definitely one of our must-do activities in Belize. 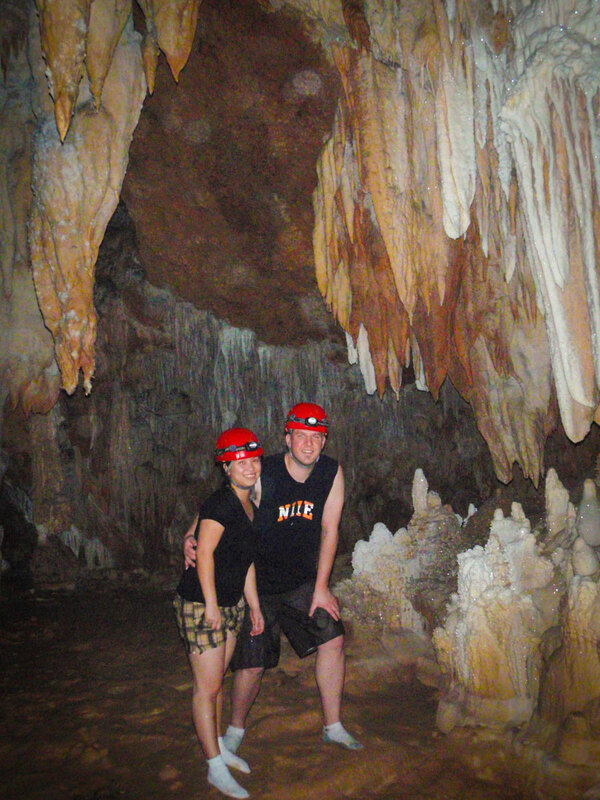 The Actun Tunichil Muknal cave in Belize is one of our favorite caving experiences. The cave is commonly referred to as ATM. It is in Western Belize and is actually a Mayan burial site. To access the cave you must sign up for a day tour. The tour starts with a hike through the Tapir Mountain Reserve and getting there involves crossing 3 streams. The depth of the streams can vary based on how much rainfall the area has seen. After 45-minutes, we reached the stunning entrance to ATM. It was marked by a tall narrow slot in the mountain, the surrounding rocks were covered in bright green foliage and featured an emerald green stream pouring from the crack. At this point, we had to remove our shoes to explore the rest of the cave system with our socked feet. This is to protect the sensitive environment of the cave and ensure that damage is kept to a minimum. There are numerous chambers to explore, some contain ceramics, pottery, and human bones. Pro-Tip: The trail has a lot of roots and rocks so hiking shoes are recommended. However, you will get wet sometimes up to your waist so keep that in mind when picking footwear. A change of clothes is also necessary. This cave is not for people that have either claustrophobia or insectophobia. There are parts where you have to crawl on the ground and you will come face to face with spiders. However, it is all worth it when you get to view the Crystal Maiden, the ancient skeleton of a young Mayan girl that has been perfectly preserved inside one of the chambers. The skeleton gets its name from the mineral deposits that have grown on it, causing the remains to sparkle under the light. If getting down on your hand and knees and crawling through mud is not high on your list of must-do activities in Belize, then perhaps cave tubing is a better choice for you. 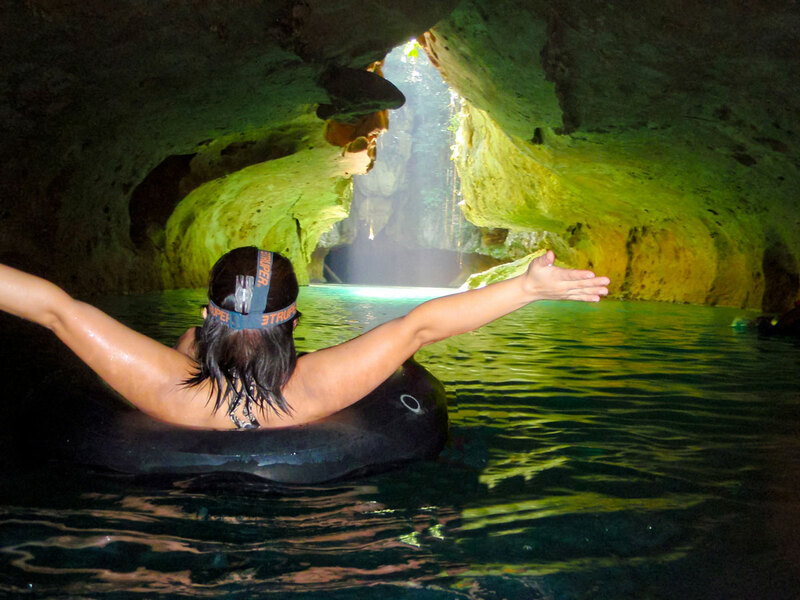 Cave tubing is one of our must-do activities in Belize because it is a relaxing way to explore the cave system. When cave tubing, you sit on an inner tube that lazily carries you along the slow river current in and out of several caves. 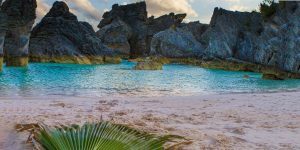 The tour operators will provide you with waterproof headlamps that will let you see all the amazing cave formations and underground waterfalls along the way. 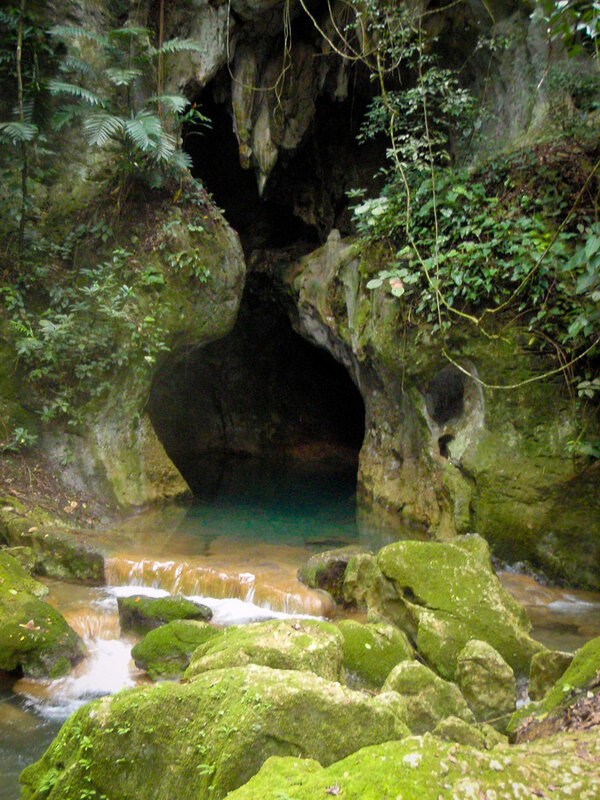 Belize has an extensive karst system with over 300 caves that have been discovered. 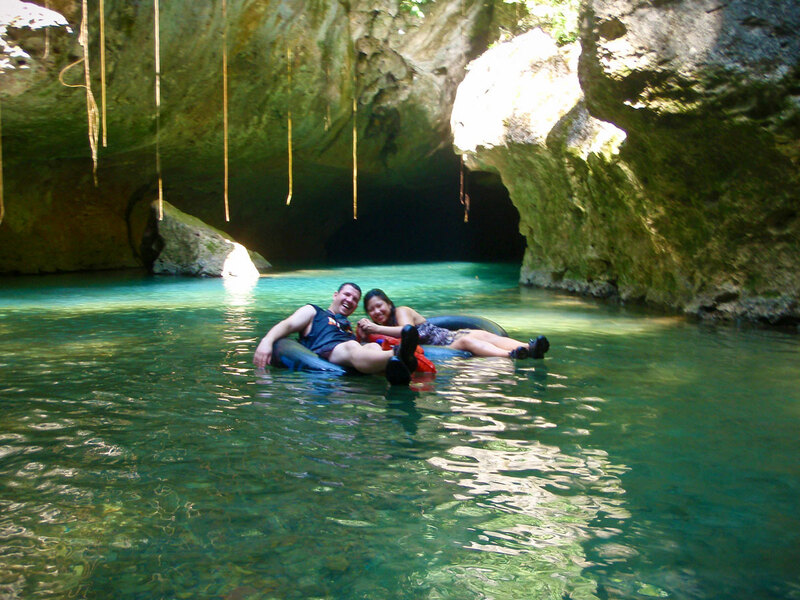 The most popular spot for cave tubing is the Nohoch Che’en Caves Branch Archeological site. The Caves Branch river goes through 5 caves and it is also possible to explore other passageways. You will see stalactites and stalagmites from the comfort of your tube. In some of the caves, it is also possible to see Mayan artifacts. Belize is a water lover’s paradise. SCUBA diving is one of our must-do activities in Belize. 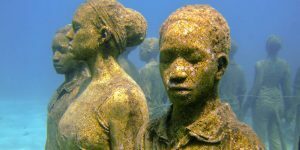 In fact, we got our PADI open water certification on the island of Caye Caulker. We chose Belize as a travel destination for three main reasons. First, it is home to the second longest barrier reef in the world. The Belize barrier reef is a whopping 305 km long. Second, it has 3 of the 4 coral atolls in the western hemisphere: Turneffe, Lighthouse and Glover’s. The Turneffe Atoll is closest to the mainland and can be reached by a fast boat in an hour. It is also the largest of the atolls. Third, we would be able to dive the Blue Hole, a massive and beautiful ocean cavern. For those who don’t love SCUBA diving or snorkeling, you can also do scenic flyovers of the Belize Blue Hole. The Blue Hole is almost 305 m in diameter and is 138 m deep. Even if you don’t want to dive or snorkel, you can go on boat trips to see the outer islands or just to simply watch the sunset. A popular boat trip is to Hol Chan Marine Reserve. 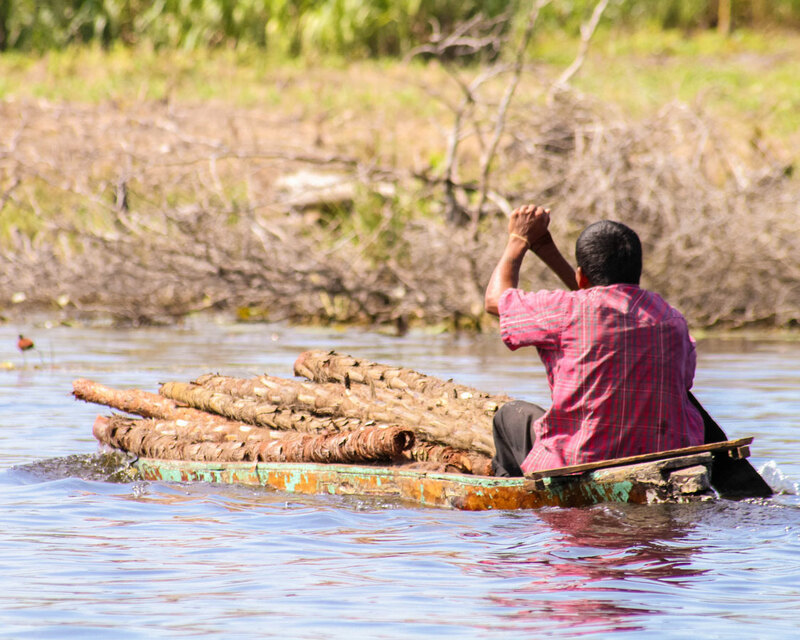 Protected since 1987, Hol Chan means “little channel” in Mayan. Although it is possible to snorkel and dive in the marine reserve, the fish life is so abundant it is possible to see the marine life right from the boat. 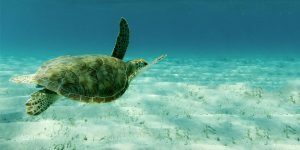 Belize is blessed with waters teeming with life. However, mainland Belize also competes for your vacation attention. Belize has the largest concentration of Mayan ruins in the world with over 600 sites identified. Although some experts estimate that thousands of ruins have yet to be discovered! Previously, we visited Chichen Itza in Mexico and Tikal in Guatemala. We were in awe and it left us with a desire to learn more about Mayan culture. 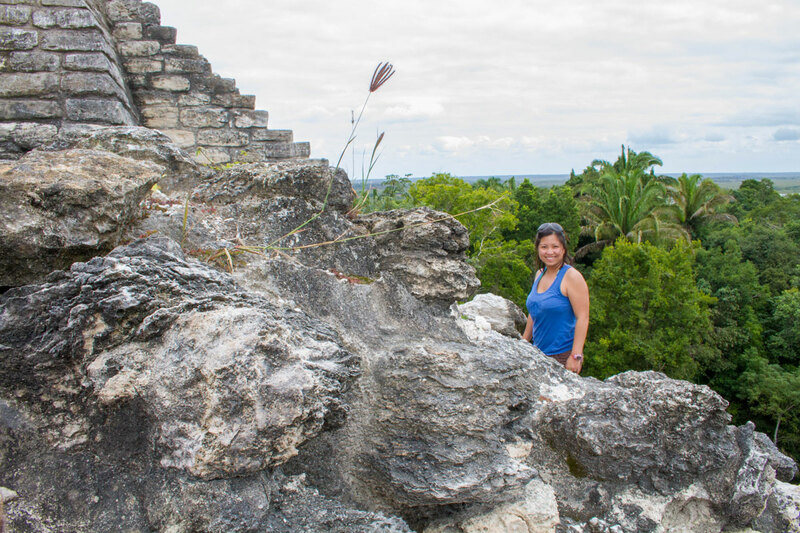 For us, the most memorable Mayan ruin we visited in Belize was Lamanai. This ruin is visited by first getting on a riverboat. From the boat tour, we were able to see various bird life, bats, and even crocodiles. After an hour-long boat ride on the New River, we finally had our first glimpse of Lamanai (also means submerged crocodile) and it was impressive! Lamanai housed over 2,000,000 Mayans. The complex contains palaces and temples that date back to the pre-classical and classical periods. About 5% of the site is excavated. So, many of the sites are still shrouded by the jungle. When we were in Costa Rica, we couldn’t believe the variety of birds that we could easily spot. 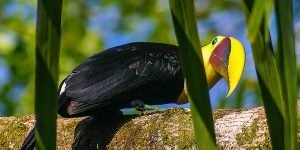 So, when we were heading to Belize, we were happy to find out that it is also a birder’s paradise! You can spot over 5oo bird species in the country. Everywhere we turned, there were birds! For avid bird watchers, specific areas of the country can be visited if you would like to spot a particular species. One of our favorite spots was Half Moon Caye Bird Sanctuary. 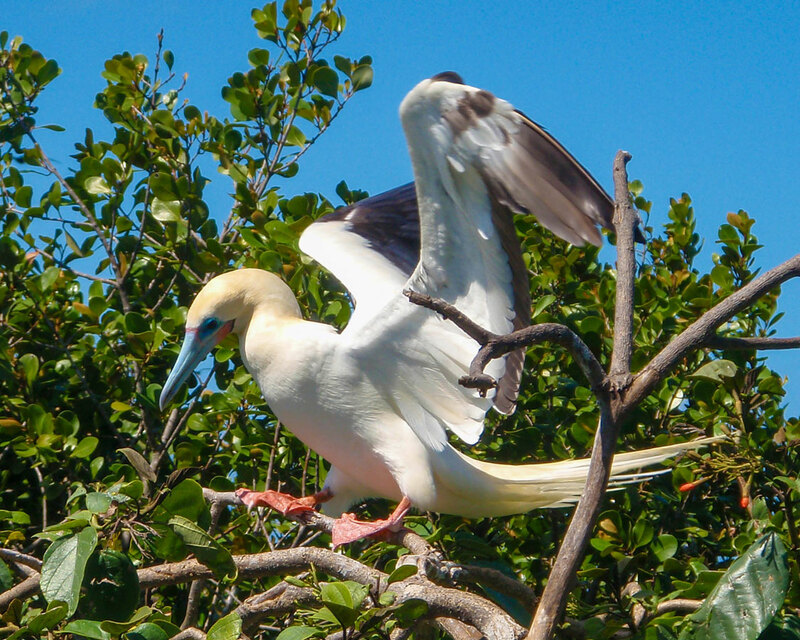 It is a UNESCO world heritage site and the nesting ground for the rare red-footed booby. Other must-do activities in Belize? Belize has so many must do activities we truly enjoyed our short stay. The country is full of amazing places to stay, eat and explore. We can’t wait to go back with the boys to explore more Mayan ruins and dig deeper into the island life. 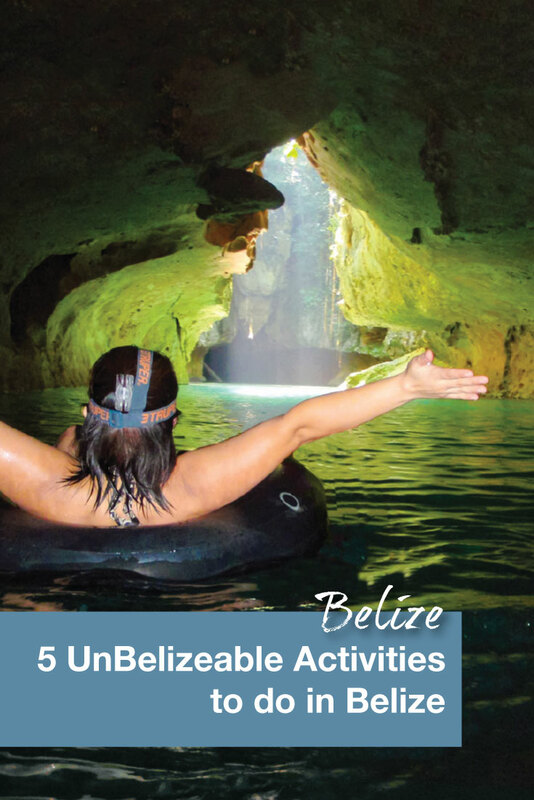 For more great activities, you can check out this guide to Belize by Travel Mad Mum. Do you have any must-do activities in Belize that you think we should try when we visit again? Drop us a comment below or swing by our Facebook Page and share your photos with us. We’d love to share in your journey. Love your blog post about 5 things to do in Belize! 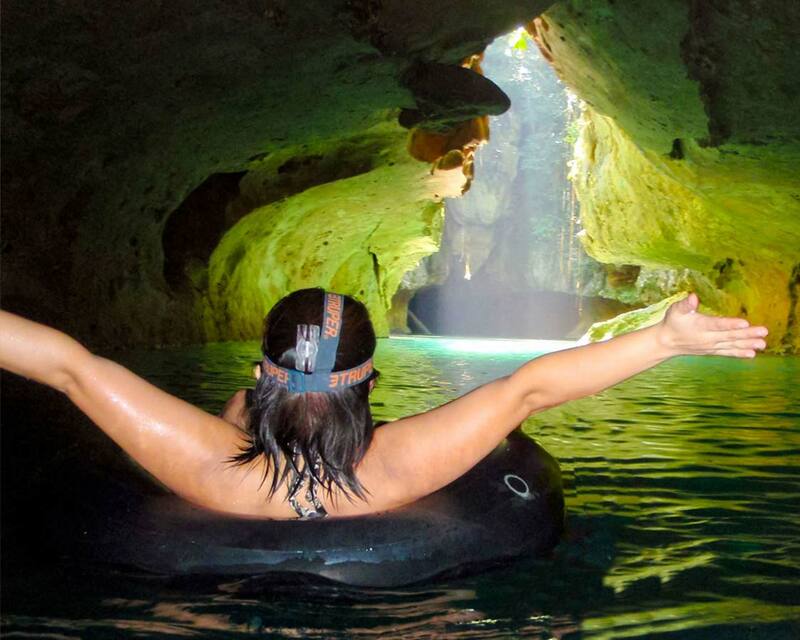 My favorite activity is without a doubt cave tubing! Thanks so much! It was a total blast! This sounds amazing! I love Central America and have been to Guatemala many times, but never Belize (though I’ve seen it from a beach in Livingston, Guatemala). I don’t think I could do the crawling through caves–the spiders are too much for me, haha. But tubing sounds fun! It’s a great way to relax and see some amazing things. I hope you get over to this side of the pond some time. Wow!! Belize is definitely on my list! 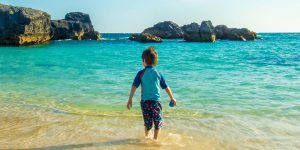 Such a great post and there is so much to do there! OMG, everything looks amazing. We have a thing for caves and the multiple options would have us losing our shoes in a heartbeat. When you go back are you diving? I’ve done a lot of caving and spent a couple weeks in Belize, but didn’t go caving in Belize. Might have to go back and check it out. Loved the Mayan ruins and snorkeling. We also went on a great plant walk and learned all about the different medicinal uses for plants. It’s amazing how much we get from nature. That must have been very cool. We were in Belize a few years ago, but sadly we had only planned it as a brief stop on our way to Guatemala and missed out on most of what the country has to offer. I do remember Caye Caulker though and that we promised ourselves to go back and go snorkel there so I’m glad to see you have it on your list! Caye Caulker was our home while we were getting certified. We loved that little island! Wow, Belize looks incredible through your photos! It’s been on my bucket list for awhile now so I hope I get to make it there soon! My husband and I want to dive the Blue Hole so badly! We got PADI certified in the Maldives on our honeymoon and these atolls remind me of the first few dives we did! Our first dive after getting certified was the Blue Hole. It was incredible! that looks so cool! I’d love to see the Crystal Maiden but the whole insects plus issues with claustrophobia would be a problem for me. I didn’t realise that Belize had so many outdoor activities to do! I don’t think we spent any time indoors during our entire trip! Yes, in fact we did the Blue Hole as our first Open Water certified dive. Yes you do go deeper than the Open Water depth, but not by much, and the guides at Frenchies Dive Shop were very attentive. It is without a doubt worth the price. Would you believe this – all and I mean all! My favorite activities. It’s like Belize is calling out…ruins, caving, cave tubing (have not done but would love to), snorkeling. I am envying you right now! All really enjoyable activities. But I am still stuck on exploring the Mayan ruins, I am fascinated by them. Cave tubing sounds to be exciting too. Hoping to visit Belize next year, great list! Will be pinning it for future reference! Belize is a great destination and i would love to visit its Mayan ruins! Ohhhaaaouu!! It seems super cool!!! All the activities but you got me with the cave tubing! I could never imagine there is an activity like this…Now I have to give it a go!! Well done for the article! Thank you for sharing your Belize article! I am planning on doing a couple of things on this list! What dive company did you go with in Caye Caulker? And did they end up letting you dive the Blue Hole as a new diver? 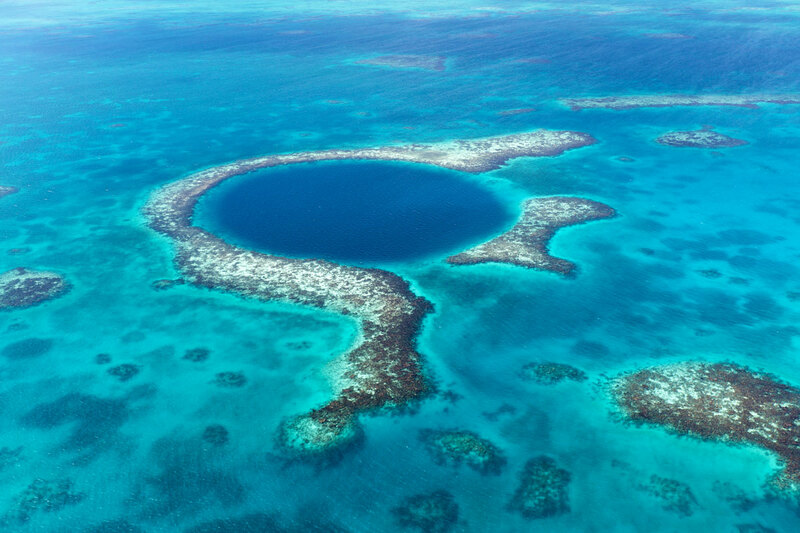 I am getting certified the week before I go to Belize and really want to dive the Blue Hole! Hi Nicole! We dove with Frenchie’s Dive Diving. They were a fantastic company to deal with. They did let us dive the Blue Hole, in fact it was our first full dive as certified open water divers. I am always so appreciative that people such as yourselves take the time to share their experiences for us to learn from! My husband an I are planning a trip to Belize in mid March. Is this a good time to visit or should we look at some other dates? We are new to traveling out of country (US). We took our first trip last spring to the Pacific side of Costa Rica and loved every minute, but we had to rely on travel agents and tour operators for everything because of inexperience which made it a bit too “structured”. We are hoping to become a bit more independent and experience more adventure and any advice would be wonderful! Hi Tesa! Thank you so much for getting in touch, it wonderful to see that others are reading our content and getting some value from it. Mid-March is peak season in Belize, and a fantastic time to visit. Hot locations will be busier at that time of year, but the weather should be at it’s best. We rented a car for a portion of our time in Belize. We found most roads to be easy to navigate, although off the main roads, things can get a little rough. Having a rental could give you the freedom to set your own pace around the country. Thank you so much for your advice. We have decided to rent a car but our itinerary is a bit, lets say, ambitious. In order to see everything we want to see we would need to change hotels several times. Did you drive at night at all? Would that be a bad idea? Or do you know of any places to stay centrally that would transport for tours to Lamanai or Xunantunich, ATM and Bocawina? It looks like most of your activities are in the center. For Tikal (which we did on a bus tour), Xunatunich, and ATM, we stayed in the town of San Ignacio while Lamanai we did while driving to San Ignacio from Belize City. Bocawina is on the coast, so it might be good to look for accommodations closer to that location. We never drove at night during our visit, while we were there it wasn’t advised. Thank you for all your fantastic information. Could you tell me approximately how much it would be to get open water certified at that location you specified? Also, is it a few hour class or a whole day activity? My husband and I are planning our first trip to believe, we love all things to do with the water and are just starting to educate ourselves. Any info would be appreciated. Thank you. Prices can vary depending on the dive shops you use and the dives they offer during your certification. I would suggest that you contact the dive shops in the region that you are planning to visit to get certification prices. If you are starting from scratch (no dive experience) you are looking at 3-4 days of lessons and dives to get certified. We did our certification on Caye Caulker with Frenchies Dive Shop (http://www.frenchiesdivingbelize.com/). If you have already done the course locally, and are just looking for certification, it can usually be done in two days depending on the dive shop/weather. Check out https://www.padi.com/ to get all the information you need on how to get certified as an open water SCUBA diver. Great post! We did the ATM cave last year which was one of the most exciting things we’ve ever done and a highlight of our 2016 world travels. I can see why! ATM is a thrilling experience. The cave and even just getting to it were completely unforgettable.